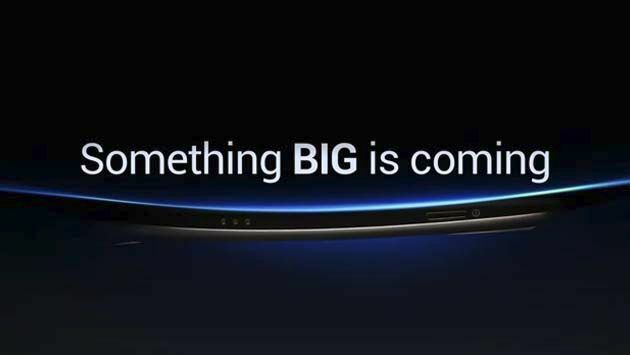 It is here Tonight: The launch ceremony of Samsung Galaxy S4 - One of the biggest event of year 2013!! The Korean smartphone manufacturing giant Samsung has made arrangements for the live streaming of the unveiling ceremony of its 2013 flagship Galaxy S4 smartphone from New York at 7 PM EST to its fans all over the world tonight. Samsung has also arranged a huge public live streaming of the event at the Times Square so that more people can become an active part of the ceremony. For all those of you who can’t be a part of this glorious event, Samsung has provided an opportunity for people to experience the event at the comfort of their homes via web Live Streaming. This much awaited unpacked event of the year comes amid a bundle of speculations, predictions, gossips and rumors. We have 'seen' how the Samsung's 2013 flagship looks like, not from one source but two - each giving a different outlook. We also heard of eye-movement scrolling of the page, the battery saving screen and florating touch input. There was much ado about the processor and vague details. The latest speculation came claiming S4 to have a PowerVR SGX 544MP3 GPU instead of the speculated ARM’s Mali. And just now we posted about another Antutu benchmark which 'predicts' that the alleged model GT-I9505 of Galaxy S4 (presumably the LTE version) equips a Samsung’s quad-core CPU termed as ARMv7 that doesn't explain much regarding the processor’s type and that’s not all. So these were some of the many gossips and rumors that kept us busy and while away our time till the very last day. 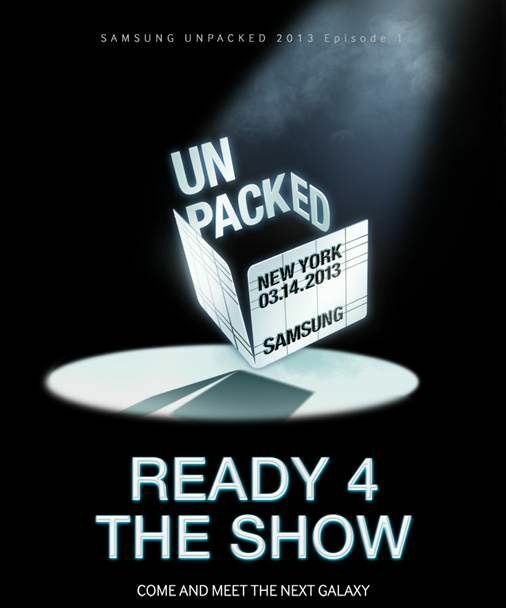 Tonight is going to be special and all eyes and eras will be tuned toward New York where the unveiling launch ceremony of Galaxy S4 smartphone will take place. * UTC is Coordinated Universal Time, GMT is Greenwich Mean Time.